Tonight’s the night that children around the world have been waiting for all year… Santa’s arrival. Thanks to NORAD (North American Aerospace Defense Command), children can track exactly where Santa is this Christmas Eve as he and his reindeer make their way around the globe. Santa’s official tracker starts tonight at 6:01pm AEST (that’s 3:01pm for WA folks, 5:01pm for QLD kids and 5:31pm for SA children). Now in its 60th year, the North American Aerospace Defense Command, based in Colorado, USA uses its radars, satellites and fighter jets to track Saint Nick’s Yuletide journey. 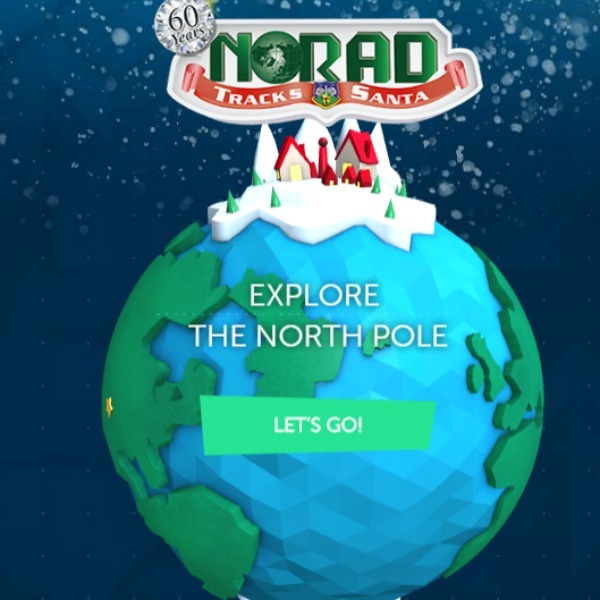 There is an official NORAD Tracks Santa app and you can also track him via Facebook, Twitter and YouTube. Simply type in @noradsanta to get started. Children can also email noradtrackssanta@outlook.com to find out where Santa is. The NORAD website is an interactive adventure for kids of all ages. And while the tracker doesn’t start yet, there is still plenty to explore, including a tour of the North Pole, games and even movies to enjoy. If you’re looking for a great Christmas tradition to add to the evening’s festivities, then be sure to add this one to the list. Merry Christmas Eve from the entire team at Babyology! And remember kids, Santa won’t come if you’re not asleep!